Deanna Hildenbrand joins Numerica as assistant vice president for marketing and communications. With a specialty in brand strategy and management in marketing and corporate communications, Deanna joins the team with over 21 years of experience. She has a passion for helping others and serves on the Children's Health Council. Before joining Numerica, Deanna was at Chapter & Verse Advertising (formerly Magner Sanborn). Rick Dahmen recently joined Numerica Credit Union as external senior loan officer in the home loan center. With over 17 years of experience in the lending field, Rick is skilled in new residential construction lending and is certified by the Foundations of Real Estate Evaluation and Appraising. He offers a wide variety of home loan expertise including FHA, Veterans Affairs, and conventional. The Vanessa Behan Crisis Nursery, a local non-profit organization dedicated to shaping the future of Spokane by keeping kids safe and strengthening families, celebrates their 30th anniversary today. Along with this anniversary, the Nursery is also celebrating a record breaking 2016 year. In 1987, the first year the Nursery opened its doors, 427 little ones were served and today a record breaking 5,214 children were cared for in 2016! The Nursery evolved from the tragic story of Vanessa Kay Behan, a Spokane girl who died from child abuse injuries at the age of two. The news of her death outraged the greater Spokane community, including founder Bill Bialkowsky and a small group of business people who resolved to provide intervention for children who were at risk of abuse or neglect. After five years of research and fundraising, the Vanessa Behan Crisis Nursery opened on January 9, 1987. Since that time nearly 92,000 children have found refuge at the Crisis Nursery. The Vanessa Behan Crisis Nursery is an extraordinary place. For children, it provides a haven of unconditional love and attention from adults whose only hope is to create lifetime memories of security. For parents who are overwhelmed and lack support, it's a breath of fresh air and helps eliminate tremendous burdens. This impact is completely funded by the support and generosity of committed champions who believe that keeping kids safe and strengthening families results in a more vibrant community for everyone. For more information call 509-535-3155 or visit the website at www.vanessabehan.org. Born and raised in Great Falls, Montana, she attended Carroll College in Helena, MT where she received a bachelor's degree in Biology. She then went on to graduate with a doctorate degree from dental school at Creighton University School of Dentistry in Omaha in 2014. Initially, she worked at a busy private practice in Spokane for 2 years. Dr. Moore is involved in the American Dental Association, Washington Dental Association and the Spokane District Dental Society. She recently became an Invisalign provider. Three additional categories to be announced are Educator of the Year from the school districts served by the Chamber, Chamber Volunteer of the Year, and Chamber Ambassador of the Year. The 2016 Harry E. Nelson Citizen of the Year Award will be presented to Frank Tombari, Senior Vice President, Banner Bank. From nominations received, the Citizen of the Year is chosen by past recipients of the award and current Valley Chamber executive board members. 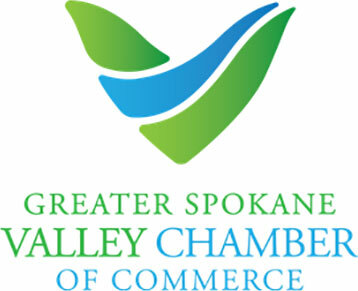 For more information visit www.spokanevalleychamber.org. Spokane Consultants in Family Living: Open Adoption Services, a local licensed child placing agency has changed their name to Adoption Services of Spokane. Nancy Johnson MSW, Agency Director says, "When people hear that we are located in the house on Ash near the north entrance to the Maple Street Bridge, they know immediately who we are, but often they don't remember our name. It became very clear to us it was time to simplify the name and identity of our agency as a long established and comprehensive agency offering Open and Confidential Adoption planning to birth and adoptive parents in Washington, Northern Idaho and Northeast Oregon". 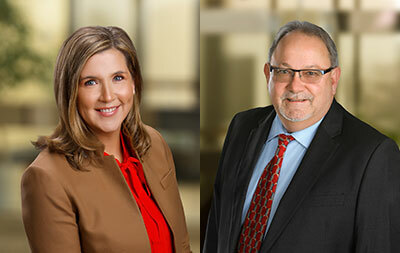 For nearly 30 years, they have been helping birthparents and infertile couples with the many life issues surrounding the difficult decisions of adoption. In addition to the name change the agency updated their look and created a new website, www.AdoptionServicesSpokane.com providing birth and adoptive parents with detailed information of the scope of the agency's services. The office retains their current location at 1623 W. Gardner, at the top of the Maple Street Bridge. YWCA Spokane announced its Board of Directors for 2017. These volunteer community members help further the organization's mission to eliminate racism, empower women, and promote peace, justice, freedom, and dignity for all. 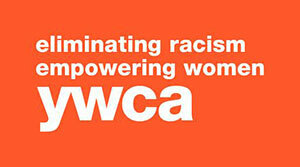 YWCA Spokane is a multi-service, non-profit organization whose mission is eliminating racism, empowering women and promoting peace, justice, freedom and dignity for all. For over 114 years, YWCA Spokane has been committed to empowering women in the Spokane and surrounding communities. For more information, visit ywcaspokane.org. Stella's Cafe has chosen not to renew their lease at their current space at 917 W. Broadway and will transition their menu and staff to Ruins, at 825 North Monroe street, under the same ownership as Stella's. Stella's Cafe's last day of operation will be January 31. 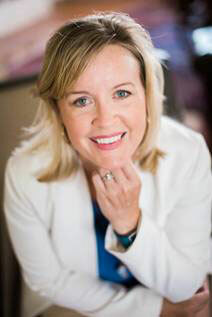 The Rypien Foundation announces the hiring of Katie Doree as Executive Director. A lifelong resident of Spokane, Katie attended Gonzaga Prep High School before earning a golf scholarship to the University of Notre Dame. During her tenure at Notre Dame, she served as co-captain her junior and senior years and was a member of the Student-Athlete Advisory Council before graduating with a Bachelors of Business Administration. Katie has over a decade of fundraising, event management, advancement operations, and donor strategy experience, spending nearly six years at Gonzaga University. Additionally, she has run her own consulting firm and worked within the technology sector. To learn more about how you can become involved at the Rypien Foundation as a supporter or volunteer, call 509-747-2424 or katie@rypienfoundation.org. Look for your 2017 Book of Lists, which is the Journal of Business's first issue of the year, in the mail. It's included with your print subscription to the Journal. 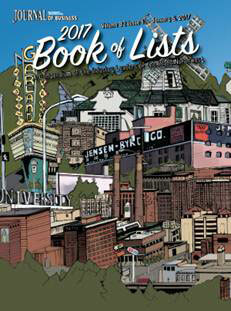 If you are not a subscriber, call 509-344-1280 and they'll get you signed up and send you the newest Book of Lists. Or you can stop by the Journal of Business office at Third and Sherman and purchase one for $19.95. They are open Monday through Friday, 8am to 5pm.